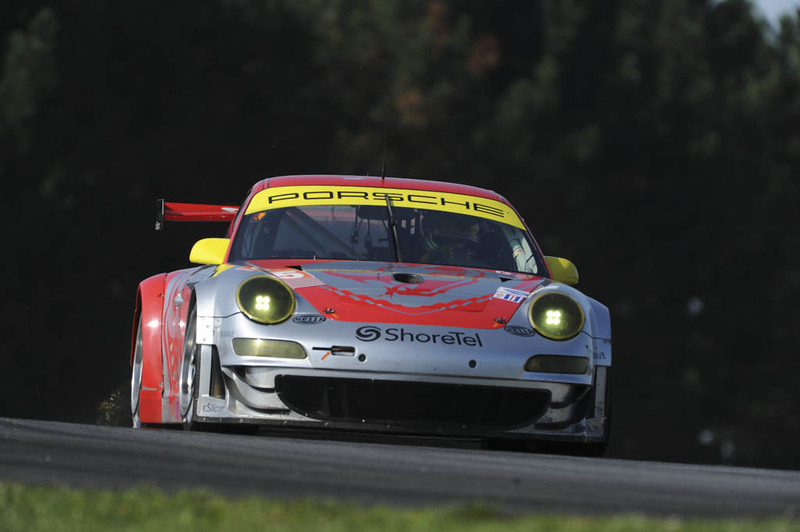 Patrick Long, having qualified the #45 Flying Lizard Porsche in 8th position, finished fourth in the GT class with his teammate Jörg Bergmeister yesterday at round six of the 2010 ALMS season, at Mid-Ohio. Long was the fastest qualifying Porsche, and the vaunted competition of the GT class showed its depth with two BMWs, two Corvettes and three Ferraris qualifying in front of the Californian. By finishing fourth, the duo retained their GT-class championship by eight points, with three races left to run in the season. Additionally, the #45 captured the Michelin GreenX Challenge in GT, as the racecar performing with the lowest environmental impact. In a race in which the margin of victory was 0.582 of a second – with the #62 Ferrari barely eclipsing the #4 Corvette – Jörg finished 5.298 seconds behind the winner, and just more than .4 seconds behind the 3rd place finisher. In fact, the top six finishers of the two hour, 45 minute race were covered by only 6.736 seconds. In the closing 10 minutes of racing – after a late caution period – Bergmeister fought tooth and nail for 3rd position, only to be balked repeatedly by slower traffic. The Mid-Ohio Sports Car Challenge will be broadcast in documentary form, as was the Laguna Seca round earlier in the year, on CBS Sports on Sunday, August 15 at 12:30pm ET. Long and Flying Lizard race next at Wisconsin’s picturesque Road America, near Milwaukee in Elkhart Lake, WI. The longest circuit of the championship, Road America is a perennial favorite for drivers and spectators alike, due to the challenge and ambiance of the track. The race will be broadcast live on SPEEDTV, starting at 3pm ET on Sunday, August 22. Patrick Long Motorsport wishes to thank all of its partners and supporters for the 2010 season: Porsche, Flying Lizard Motorsports, Troy Lee Designs, Oakley, Club Corp, FRS Healthy Energy, Leeper’s Stair Products and Speedware Motorsports.